We are a team of sport horses enthusiast, driven by our passion, we want to offer the best equipment for the horse and rider at the best possible prices with the best advice available. equitack.com is part of the well known and established Voltaire-Design Group. Our young company has an exceptional team that accumulates incredible experience and knowledge over most available High and Medium End brands on the US market. We have an in house full-service repair workshop that is essential in our process. Our sales team are experienced and successful saddle specialist that will be delighted to assist you. 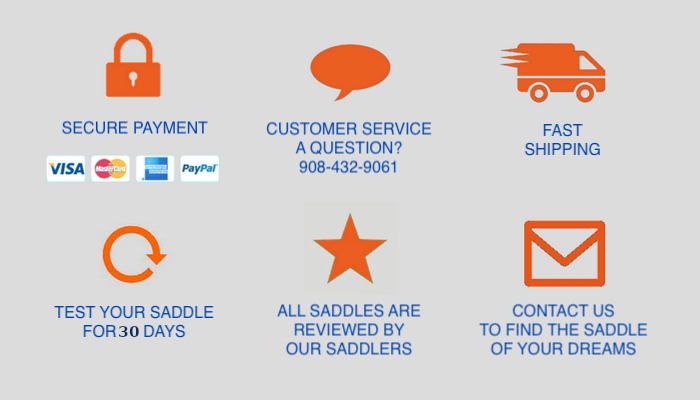 If you are on the market for a second hand saddle, either if you know what you want or if you need assistance, equitack.com is the solution to find the right match for your needs and your budget! We offer a 14 Days trial that guarantees your satisfaction. Our website is secure and we offer safe payment solutions. Our dedicated sales team is here to assist you every step of the way. On the phone Mon to Fri, 9am to 5pm or by email 14 days a week!